Your Prague hotel reservation is about to get cheaper. Is that okay with you? I hope so, because I've got 15 money-saving strategies to help you save on your accommodation. And, many of these tips are universal so you can use them when booking hotels in other destinations too. The most important tip going forward is that you change your mindset about the hotel reservation game. I like to call it the 15% Mindset. When you consciously remember this one FACT, your whole hotel search can change. You have the advantage going forward. I can stop this article right here. 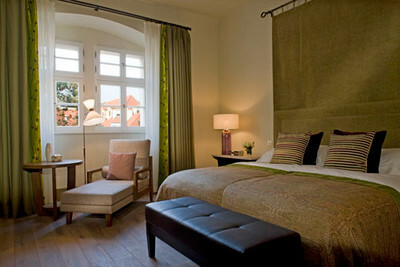 The easiest way to save money on a Prague hotel is to book directly with the hotel. A hotel will almost always match or beat the lowest price you find on the internet. They do NOT want generic guests from booking sites. They want true, valued customers like YOU that find them directly. We are taught to plan everything in life. "Don't procrastinate. The early bird gets the worm." I get it, I really do. But, when it comes to saving money sometimes skipping the plan can have its benefits. In Prague, hotels are very competitive. Always looking to fill their rooms up to the last minute. So, look for deals the week of your arrival. Or even the day before you arrive. This strategy requires some flexibility and prime locations may not be available. But, you may be surprised by the discounts to be had. Prague's main historical zone is considered to be Prague 1. So it's inevitable that most visitors want to stay in this district or close to it. But don't get fooled by the name of Prague 1. Districts can change from street to street. And, prices will go down with them. Look for other areas to stay. You can still be close to all the main attractions. Don't worry. And, many other areas are a lot less touristy. 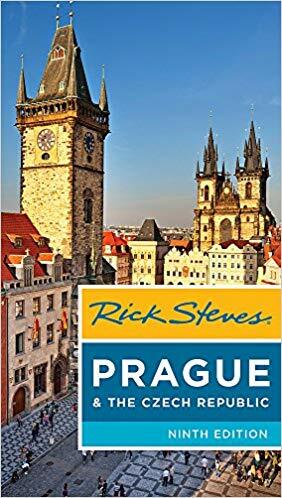 A variety of hotels in Prague have teamed up with Rick Steves to offer a special reader discount. So, buy one of his Prague guidebooks and find a hotel in the book that is noted with RS%. The contact the hotel directly to ask for the Rick Steves discount. I called a few myself and was promised 10-20% discounts depending on the season and hotel. The book will literally pay for itself, and more! Oh, you didn't read the fine print about the cleaning fee or the city tax? What about parking? That's right. Some hotels will add on an extra fee just when you thought the price was final. There's not much you can do about it, but you can be aware and ask up front about it. Get a final, total price. Yes, I just alerted you to all the possible last minute deals in Prague. But, hey, hotels are inventive and want to get your booking confirmed as early as possible. After all, it's a competitive and saturated Prague hotel market. So, why not plan early and find that deal? Booking.com specifically offers hotels the possibility to list an "Early Booker" deal. And many Prague hotels will use this for off-season in particular. By "early," I'm thinking 6-12 months in advance. You may also catch hotels before their annual rate increase. Keep an eye on our hotel discounts for deals and promo codes. I've mentioned this in my thrifty Prague tourist guide. But this one in particular is really worth repeating. Prague is so busy from April-October. Hotels are expensive and the streets are so crowded. Why not save money and come in November, December, January, February and March? You save money and you have more elbow room on Charles Bridge. It's a win-win. 9. What's in your tool box?! I don't know about you, but when I'm doing travel related research, I get overwhelmed. Websites like Hotels.com push so much information on me that eventually I feel like giving up. Me: "I give up! I'll just book something. Anything!" But, unfortunately I won't save money this way. So I use a comparison site to start with. Just one! You can try Prague hotels on TripAdvisor, or I like to use HotelsCombined. But I use these just for the information they provide. Then I choose 5 hotels and call each one for their lowest rate. I know it's not the easiest tip. But, honestly, the more you can be flexible in your requirements, then the more you can save more money. 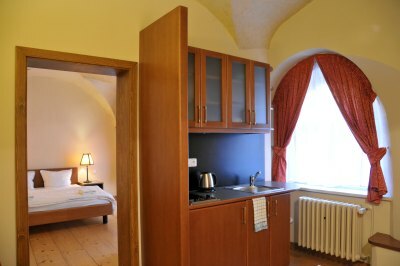 For example, a Prague hotel will love if you can be flexible in your dates. Maybe there's a hole in their availability they are dying for you to fit into. Anyway that you can be flexible, may indeed help you in the long run. You probably already know the benefits of booking an apartment. Cooking on your own and saving on extra person fees is awesome. 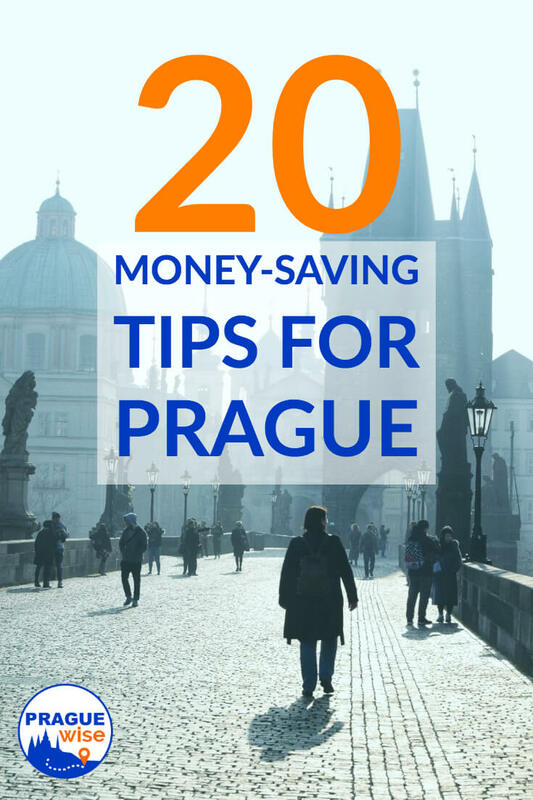 But, in Prague you don't have to book via Airbnb or Homeaway to get advantages. Plus, those websites are overcharging you service fees anyways. Find an "apart-hotel" in Prague, or a residence with apartments. You get the bonus of a kitchen and a staff to help you during your stay. And, you'll save money by booking direct. Don't be afraid to try to negotiate your hotel rate. Maybe not every hotel in Prague will be open to this suggestion, but it can't hurt to call and ask. I would specifically use this tip for small hotels, residences and pensions. Find an independent hotel with 10-20 rooms and just ask directly. Small hotels are more open to discussing discount possibilities. They may even suggest a rate that fits your dates or details of your stay, i.e. minimum length of stay, non-refundable, etc. For hoteliers, this method is a bit cheeky - but it's also completely legitimate. Let's say you've booked your hotel a month in advance. But, a few days before your arrival you check the hotel and it has a new discounted rate for your room. Feel free to cancel and re-book if you'd like. This option is dependent on your cancellation policy, but I've seen it work in guests' favor many times. Prague is a weekend destination. So, prices for Friday and especially Saturday are usually higher than other days. I would guess that these days are 20% more expensive on average. I know it's not ideal to skip the weekend, but it can really pay off. Or, try to stay just one of those days. Prague is also less crowded during the week. Are any of these tips worth taking action on? 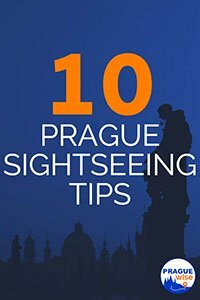 Will you apply them to your trip to Prague, or maybe to other travel days? When writing this page, I kept coming to the word "flexible." I think this is key for finding the best hotel and best price for any destination. And, always, book a Prague hotel direct. I know the benefits of insider discounts that many booking sites offer. And, I know they can tempt you with their highlighted reviews and other flashy concepts. But, in the end, local businesses will thrive more if you skip the middle man. On the other side, when I first came to Prague, there were dozens of local agencies that helped hotels increase their exposure. But, now sites like Booking.com have pushed most of them out of business and hotels in Prague are dependent on them for everything. Anyway, it's your choice. Let me know what you decide and if you get that deal you're looking for.